GUIDE TO TAKING A GAP YEAR! However we believe the “time period” will depend on the time that you feel that you would like to go on a sabbatical between your studies and work and what you would like to gain from your planned trip. 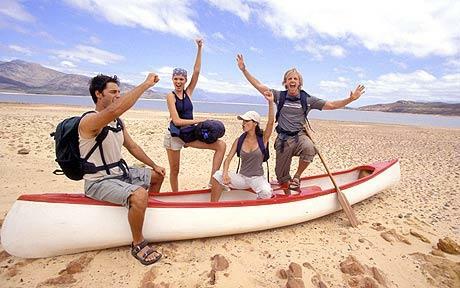 However if you would like to enroll in an organised trip – the time frame would more or less be 12 months. This would depend on the reasons why you would be interested in taking a gap year. Decide before hand why you wouldl like to do a Gap Year – do you want to gain work experience, do you want to meet new people, do you want to explore your personal interests etc? Examples of a Gap Year “jobs”: Working on a Yacht in France, being an Au Pair in the Netherlands, working on a Kibbutz in Israel, working on a Ski Resort in USA etc – the list goes on! Which ever option you choose, remember to do enough research on Visa and passport requirements, medical clearance, job requirements etc. 1. Taking a “time out”: Stay at home not working, studying or travelling…the do nothing gap year! 2. Travel: leave home and travel to various parts of the planet. 3. Work and travel gap year: Work (part or fulltime) various jobs before or during your journey, to finance a travel adventue – this way you don’t have to phone home to ask for more money from mom and dad! 6. Exchange programs: This is usually organised by universities, schools, associations and/or corporates to allow individuals to gain valuable experience in another country. 7. Study abroad: Apply for a study program at an overseas based tertiary institution – this is usually the norm when students would like to continue their Masters and PhD level. To finance a Gap Year can be an expensive exercise – it would obviously depend on which type of Gap Year experience you have chosen for yourself. Think abou the admin, travel, medical and living expensenses that you will need to pay while on your adventure. Working for a certain amount of time to save up enough money to finance your adventure – your planning skills would be very important here! The possibilities for a Gap Year is endless! Before paying anyone or any organisation to be part of their Gap Year programme – make sure that they are credible and have lots of references. Check out Student Flights or STA Travel for more info on different options that you could do during your Gap Year.